False-color photo of a storm on Saturn. 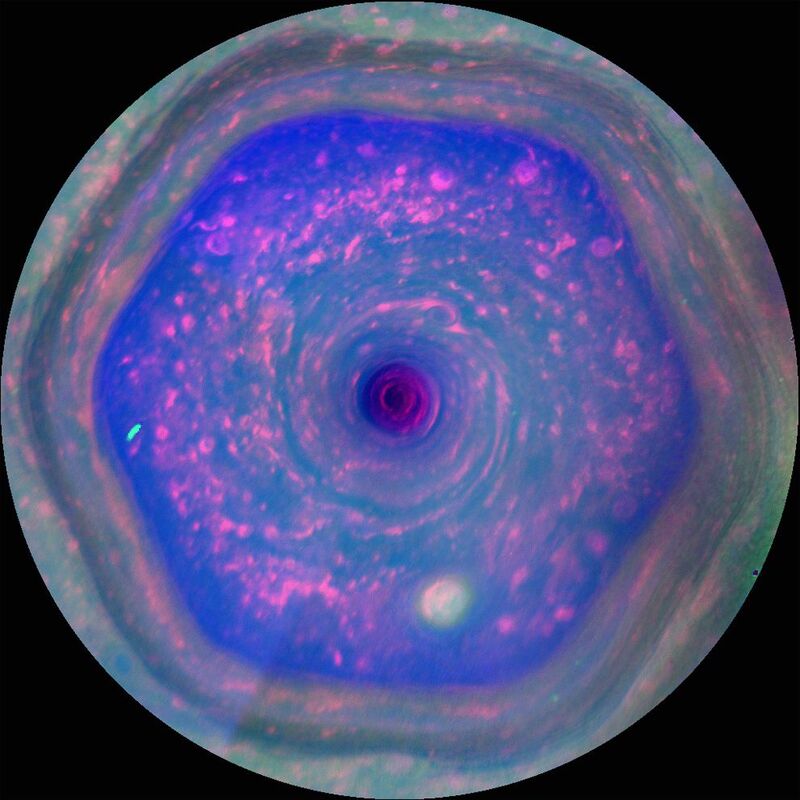 This colorful view from NASA's Cassini mission is the highest-resolution view of the unique six-sided jet stream at Saturn's north pole known as "the hexagon." The image was captured on December 10, 2012. The colors in the image have been assigned to regions corresponding to certain parts of the electromagnetic spectrum--red to the 0.750-micron part of the light spectrum (near infrared), for example.